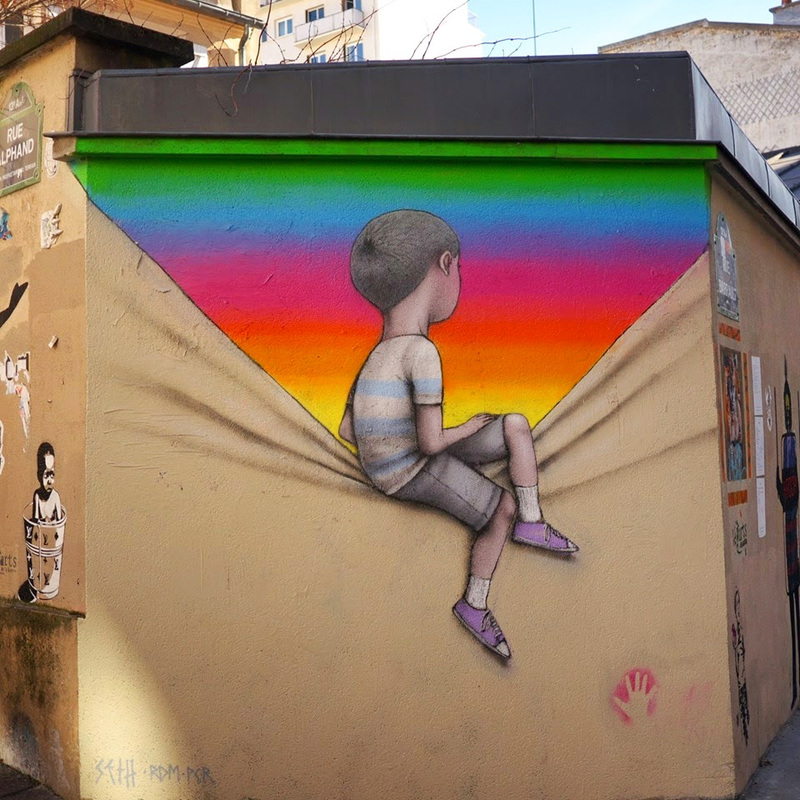 It’s been ages since I posted an Eyecatchers installment featuring a street artist (some past examples: BLU, Sam3, JR), but, thanks to Colossal, my eyes were decidedly caught this morning by the work of Seth Globepainter (aka Julien “Seth” Malland). 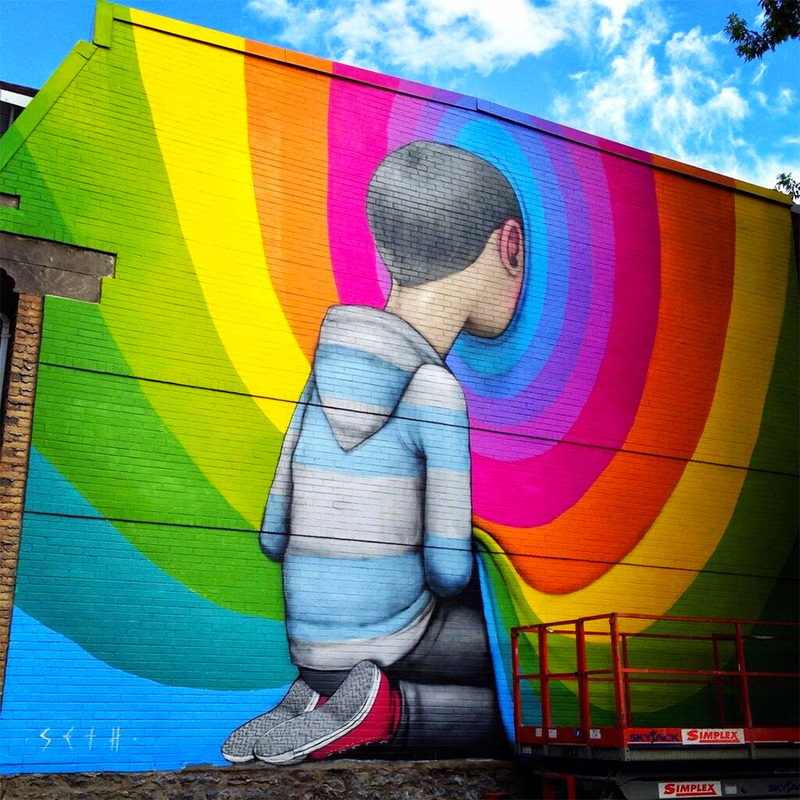 Seth has traveled extensively, meeting other street artists, observing their work, and cultivating his own style. 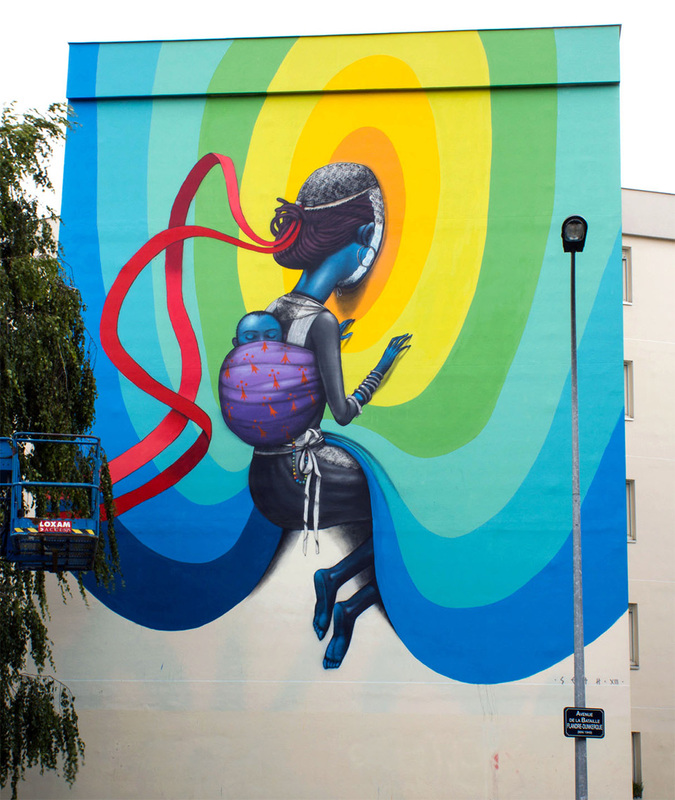 The pieces seen here are from a stunning series of murals with a theme running through them, depicting children (and in one case a mother of an infant child) either gazing at or plunging their faces into rainbows or rainbow like concentric circles of color. Seth’s human subjects are rendered so beautifully, and there’s a lovely, loving, gentle sensitivity about them. 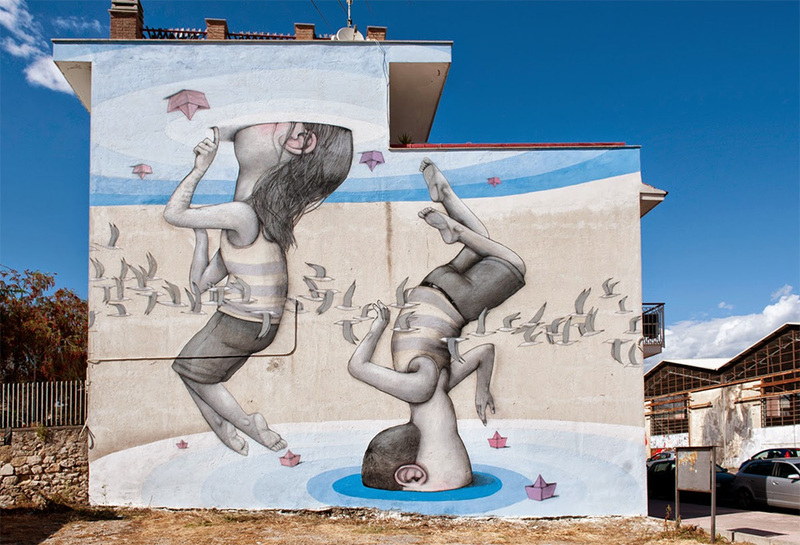 Their gazes seem to represent how the power of a child’s sense of curiosity, wonder, and imagination enables them to see beyond the mundanity of daily life. 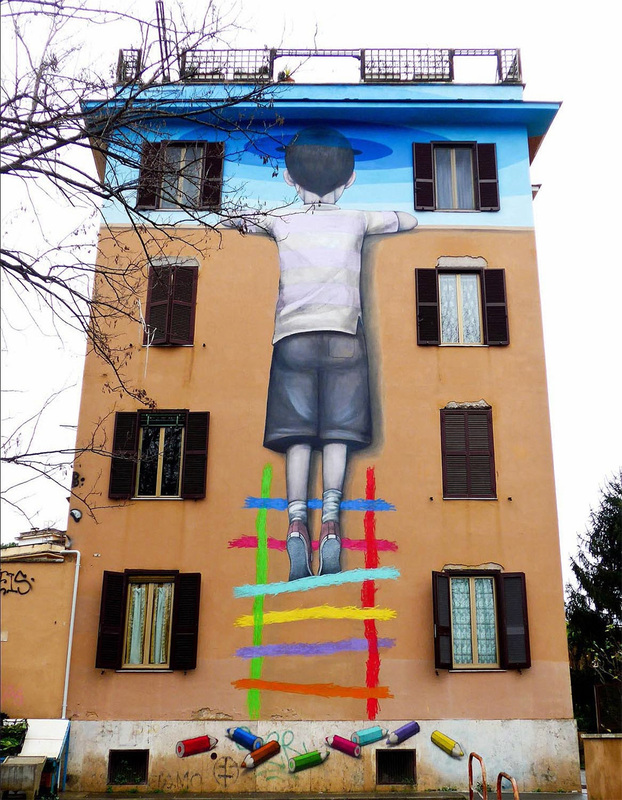 The figures do not seem to be in any immediate danger or distress, which is something that, I think, distinguishes the works from those of other street artists. 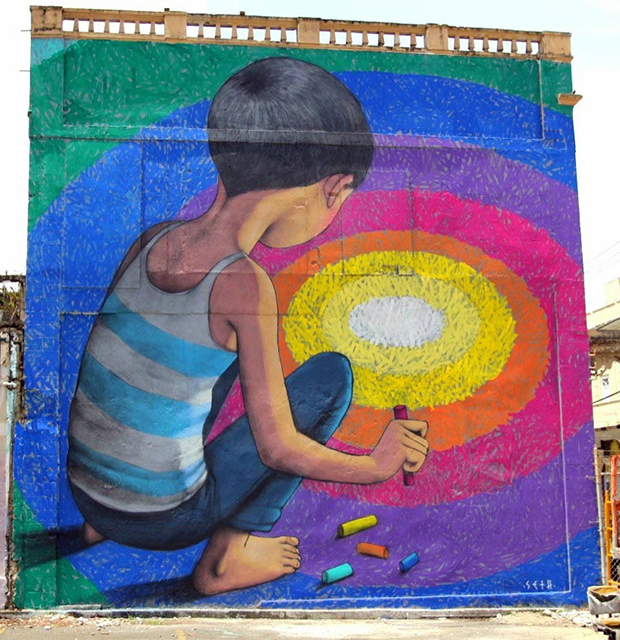 While it might seem a more fitting approach for urban art to depict children as products of a harsh environment, in soiled, ragged clothes, surrounded by signs of neglect or threat, it could also be considered obvious or redundant, since the urban setting surrounding the murals already provides that context. Or, it may be the case that Seth’s work isn’t intended as a statement about urban decay. Anyway, you be the judge as you check out the following photos of his work. Next ›Mission: Impossible: Rogue Nation … Trailer Review? !